Make more informed business decisions with real-time analytics. Lower your IT overheads and enjoy improved decision accuracy by employing one version of the truth throughout the enterprise with one low cost enterprise license for ALL. Utilities 400 have provided the eyes of our business. Without ShowMe, we wouldn't be able to see!" ShowMe provides the best Business Intelligence platform on the IBM i.  Enabling native, real-time analytics through TurboCube OLAP technology and deployed to a web browser, ShowMe uses ONE enterprise license to deploy intelligence to those who need it, when they need it and how they need it.